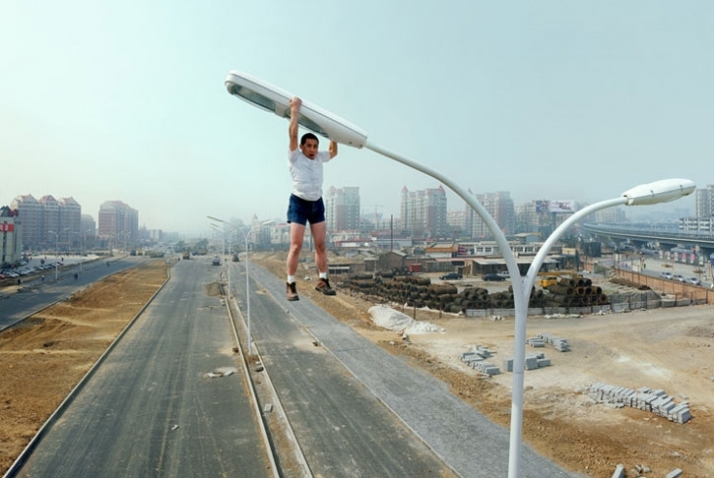 The Chinese artist Li Wei is a man who likes to take risks ... Finally, all things considered, since even if its performance is made using cables invisible and games of mirrors, the result is spectacular. Heads encased, flying body is what proposes reversing the portfolio of this artist illusion that pushes the boundaries of reality.